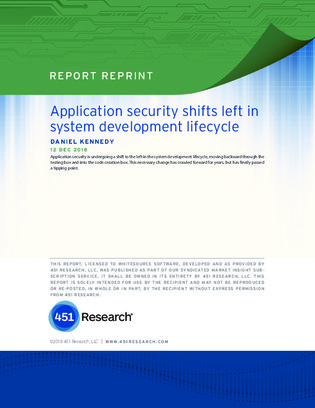 Application security is undergoing a shift to the left in the system development lifecycle, moving backward through the testing box and into the code creation box. This necessary change has crawled forward for years but according to 451 Research’s recent Voice of the Enterprise Information Security Vendor Evaluation study, has finally passed a tipping point. Read on to view the implications for application security vendors and enterprise security today.